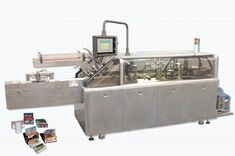 Packaging Machines, Cartoners, Pick and Place and More! E.F Engineering manufactures Cartoners for the Pharmaceutical, Food and Beverage, Health and Beauty industries. The Cartoner features interchangeable assemblies and phase adjusters so it can be quickly and easily changed-over to other product sizes. E.F. Engineering manufactures Tray-Formers in a variety of styles and sizes, for nearly any application. We offer a wide range of options and output speeds to insure you will get the best equipment suited for your operation. 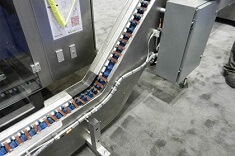 Our Tray-Formers can interface with any of our other machines, or with the customer’s existing equipment. 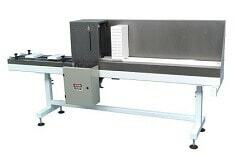 Our Tray-Formers are available with many options from manual to fully automatic. E.F Engineering manufactures custom automated and robotic machinery for Pharmaceutical, Food and Beverage, Optical Media, Health and Beauty industries. We offer a wide range of options and output speeds to insure you will be getting the best equipment suited for your operation. 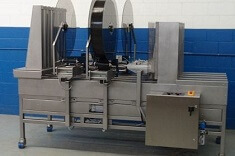 E.F. Engineering manufactures Case Erectors that are used for all packaging types. The Case Erector comes in a variety of sizes that is useful for a wide range of boxes and has an option of glue or tape. This product comes in multiple models and is easily adjustable to specific needs. 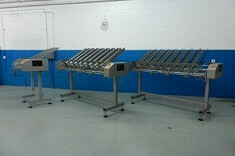 E.F Engineering manufactures conveyors in many styles and sizes for nearly any purpose. 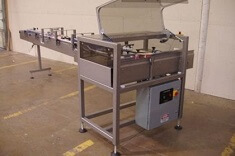 Whether you need a conveyor system to collate, orient, divert, accumulate, or just transfer product from point A to point B, we offer a wide range of options and configurations to insure you will be getting the conveyor system that is best suited for your operation. E.F Engineering manufactures Pick and Place units in many styles and sizes for nearly any purpose. We offer a wide range of options and output speeds to insure you will be getting the best equipment suited for your operation. E.F. Engineering offers a few industry-specific machines. 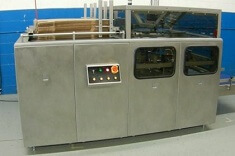 The F-2124 K-Cup packaging machine is one such example. The F-2124 is capable of packaging a 12, 18 and 24 K-Cups in a package utilizing a space-saving method of turning every second cup upside-down (patent pending). The machine can be configured to handle different packages, and has a small foot-print compared to similar machines on the market today.